When I moved into my first apartment, I didn’t have any furniture – and no budget for furniture. So I went down to the local drug store and found some downtrodden plants on sale. They helped fill the empty spaces of the vacant rooms and, with a little care, soon grew faster than my budget for furniture. The one mistake that I made way back then was just enjoying the way the greenery covered that dated paneling on the wall. Much to my surprise when it came time to move, I found that some of the plants had actually rooted into that lovely mock walnut paneling! Ever since then, house plants have been my “indoor garden”. When it is too hot or too cold to garden outside I plant and replant my indoor garden. I have about 40 house plants and that number is always growing! 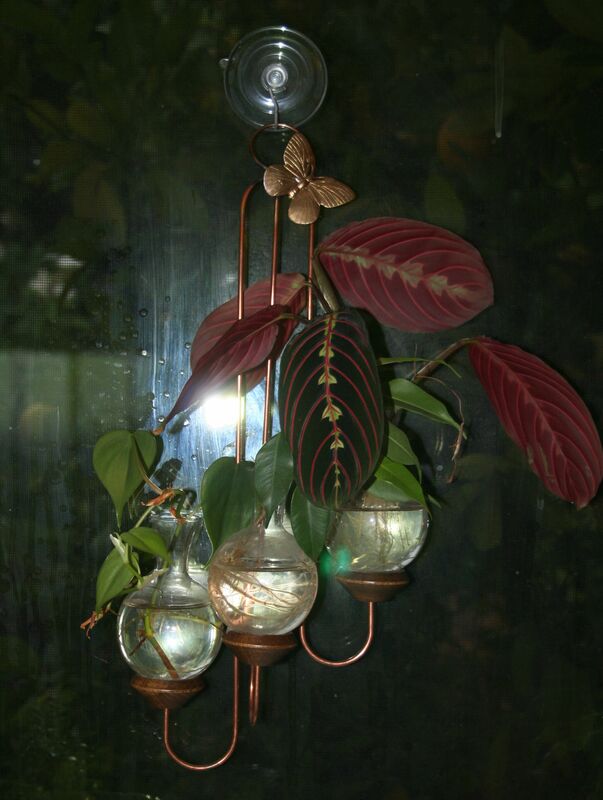 The fun thing about house plants is that you can just stick cuttings in water and grow more. My kids have filled our house with ficus plants this way. I picked pots that match each room decor, but leave the plants in their own pots so that I can rotate them based on their size, lighting needs, and my desire for change. The plants are grouped together to provide a variety of textures and to add to that “jungle look”. 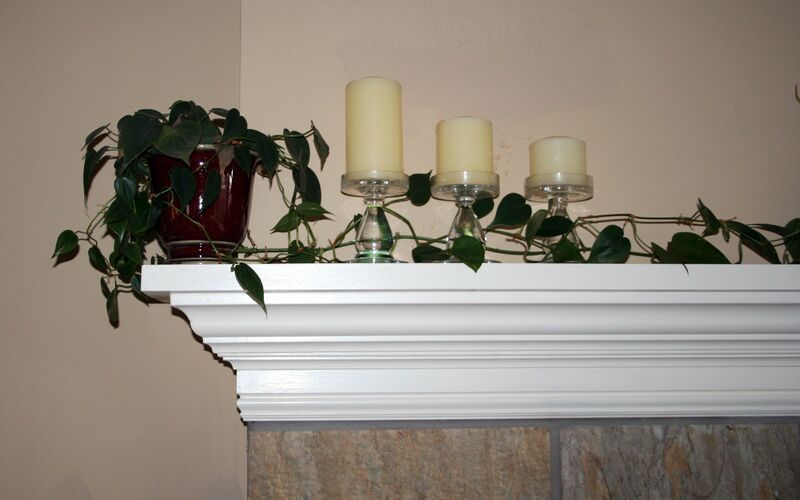 I also like to use Pothos plants as “live garland” across my fireplace mantel. Use plants to camouflage electronics. 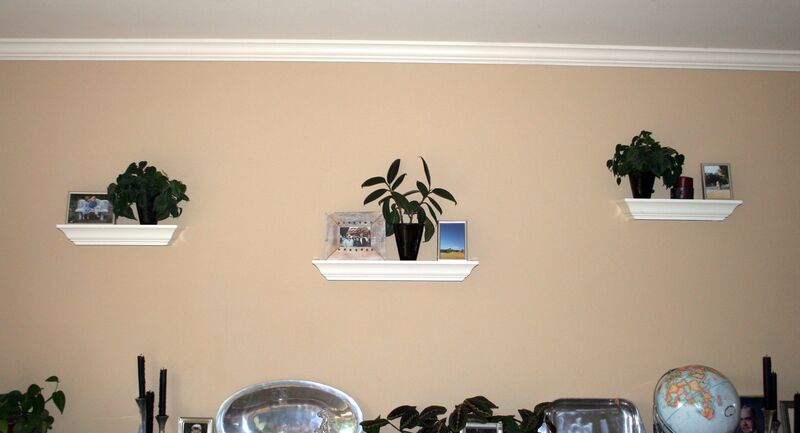 Add small shelves with plants to a wall. Wailing says : I absolutely agree with this ! I love it your living room looks like a beautiful garden. Just like you, I love flowers and I have decorated my living room with all sort of colorful and amazing flower. Sometimes my friend tease me and say that my living room looks like a botanical garden. Your living is truly amazing and thank your for posting the pictures. I love decorating my house with plants, but I never want it to be too much decoration. Thanks for the tips! love decorating my house with plants, but I never want it to be too much decoration. Thanks for the tips! thank you for your post. any chance you could give me the name for a plant with dark green with pink stripes leaves? thank you. Sure, that is a prayer plant (Maranta leuconeura). 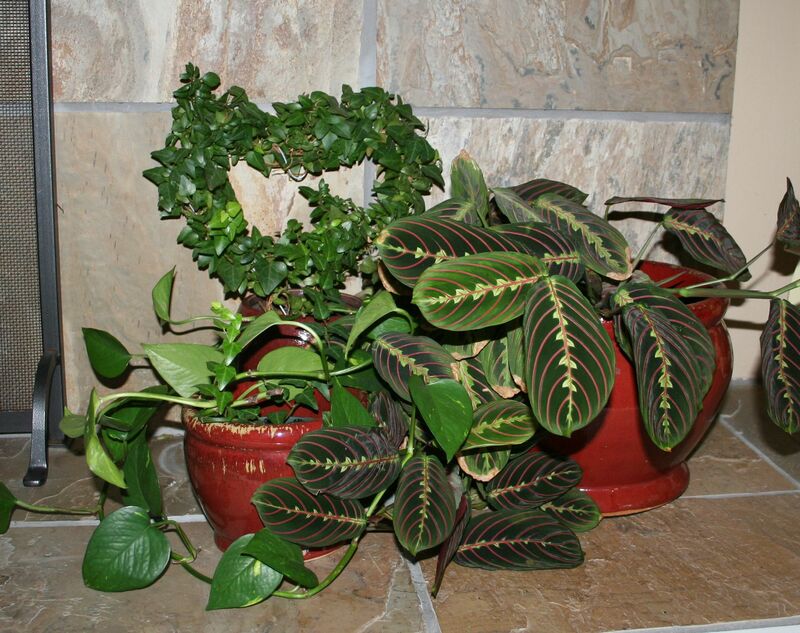 It is called a prayer plant because its leaves fold together at night like two hands praying.